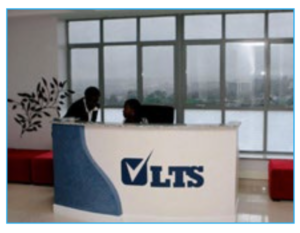 LTS operates as the official representative in East Africa for ETS Global, the global outreach company of ETS, which is the world’s largest educational research and assessment organization. ETS is a non-profit organization headquartered in New Jersey, USA, which advances quality and equity in education for people worldwide by creating assessments based on rigorous research. ETS develops, administers and scores more than 50 million tests annually – including the TOEFL® and TOEIC® tests – in more than 180 countries. In addition to assessments, ETS conducts educational research, analysis and policy studies and develops a variety of customized services and products for teacher certification, English language learning and elementary, secondary and post-secondary education. Our corporate headquarters are located in Nairobi, Kenya and we are also operational in Zimbabwe, Tanzania and Burundi. We deliver our services through a team of trained and dedicated staff, working together to provide a professional, reliable and timely service to clients across different sectors. To create opportunities for individuals by validating their English Language Proficiency using a globally recognized standard. We also seek to surface, on the global market, the human assets of the countries we serve hence increasing Africa’s contribution to the global economy. A number of different sets of English language proficiency requirements and assessment tools are used by global corporations, many of which are general, and not correlated specifically to relevant job functions. In the meantime, the communication needs of corporate employees are increasing. The fact that major corporations are engaged in such vast efforts to define and assess their language needs clearly indicates that these groups recognize the importance of language proficiency for their performance. It is also a credible sign that corporations are actively trying to find solutions to their language challenges. LTS of EA specializes in English language proficiency assessment by making available these internationally recognized educational assessment products such as TOEIC® and TOEFL® in Kenya, Tanzania, Burundi and Zimbabwe. These assessments are designed to assess the language ability of candidates who want to study or work within the international arena and want to attain certification that is recognized in Europe, USA, Australia, Asia and several other parts of the world. LTS of EA also gives local companies and institutions the opportunity to be recognized and acknowledged as key players within an increasingly competitive global market. LTS of EA is a country representative for ETS Global who set the world standard for educational measurement research and analysis; innovative product development; and original policy studies to support and advance learning worldwide. Help businesses build a more effective workforce. Give job seekers and employees a competitive edge in the global market. Guide HR decisions critical for business success. Measure proficiency in workplace communication. Give individuals the opportunity to be globally certified. Enable universities to better prepare students for the international workplace. Identify language and communication needs within companies. Guide the development of training programmes. 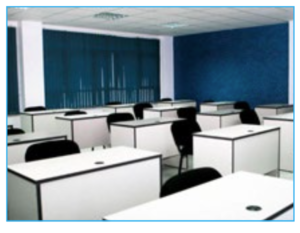 Training organizations can use, for example, TOEFL Tests to group students homogeneously and validate their progress with an unbiased external test. Provide the opportunity for local and trans-national companies and institutions to be aligned with their international peers.